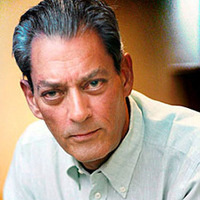 Paul Auster will be reading and talking about his recent memoirs Report from the Interior and Winter Journal. He is the internationally bestselling author of Sunset Park, Invisible, The Book of Illusions, The Invention of Solitude and The New York Trilogy, among many other works of fiction, poetry, memoir and translation. He has been awarded the Prince of Asturias Prize for Literature, the Prix Médicis Étranger, the Independent Spirit Award, and the Premio Napoli. He is a member of the American Academy of Arts and Letters, the American Academy of Arts and Sciences, and a Commandeur de l'Ordre des Arts et des Lettres. Sponsored by the School of Writing at The New School.